Understanding the 3 phases of muscle contraction will help you maximize your exercise time. 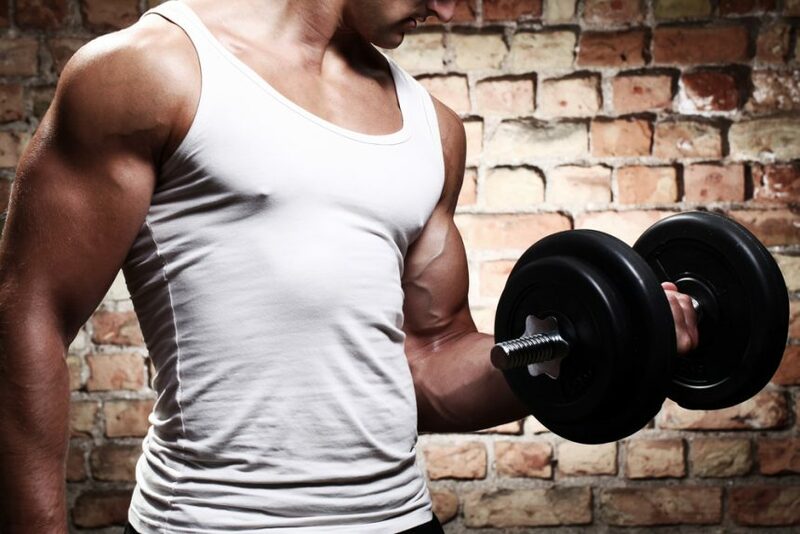 To illustrate the three muscle phases, let’s focus on one exercise; the bicep curl. Everyone loves a good bicep curl, but not everyone understands how to maximize their curling efforts. The first phase of contraction the muscle goes through is the concentric phase. This would be as you curl the dumb-bell up, accelerating the weight and generating force by shortening the muscle. We can call this the “grunt” phase for better understanding. The concentric phase is often the primary focus for most people during strength training and there is typically a disregard for the other two phases. However, if you really want to build muscle more efficiently and effectively, these next two phases are the key. The next step to a proper curl is the isometric phase. This would be at the very top portion of the curl movement when the muscle is fully shortened and contracted. Ideally, we want to hold this position for a solid 1-2 seconds and isometrically stabilize the weight. A great time to hold that muscle tight and take a little peak in the mirror. Not only does this bring more blood flow to the muscle, but there is more recruitment of surrounding stabilizer muscles and a better overall control of the weight during lifting. The last phase, which is most overlooked is the eccentric phase. This is when you slowly, decelerate the weight back down. Often you see the weight being dropped abruptly and instantly going back into the concentric face. The key here is to focus just as much energy on the eccentric phase, which in the curl example is when the dumb-bell is being lowered towards the floor. Muscles are actually about 40% stronger during this phase, so don’t neglect this if you want to maximize your exercises and build muscle faster! There is a much higher risk for injury as well when only the concentric phase is trained. During every lift try to focus on all 3 phases and you will see much faster and safer results. Tendons and ligaments that work hand in hand with muscles also become much stronger and less prone to injury when the isometric and eccentric phases are routinely highlighted. In most cases, it’s better to train smarter versus faster or heavier.